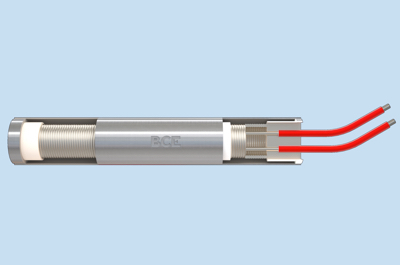 The BCE Hem Sealed Heater™ incorporates both the cartridge heaters’ wire wound resistive element encased in a metal sheath and the vacuum compatibility of a feedthrough. 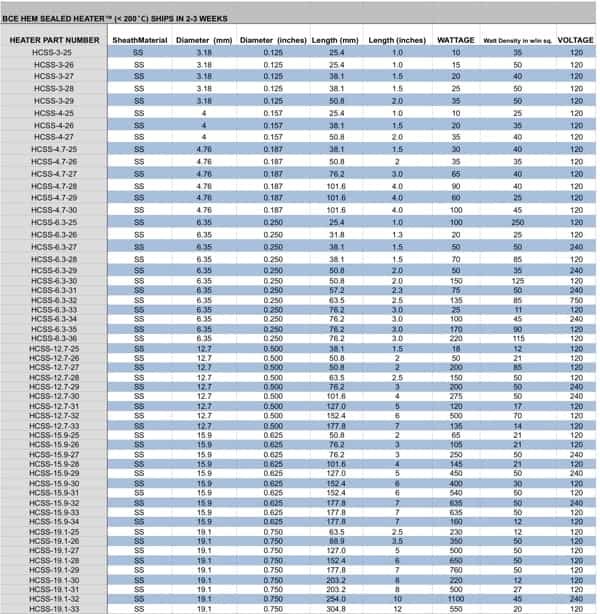 Furthermore, the BCE proprietary epoxy seal allows the heater to pass strict electrical tests ensuring the purity of the dielectric materials and hence, preventing shorting. 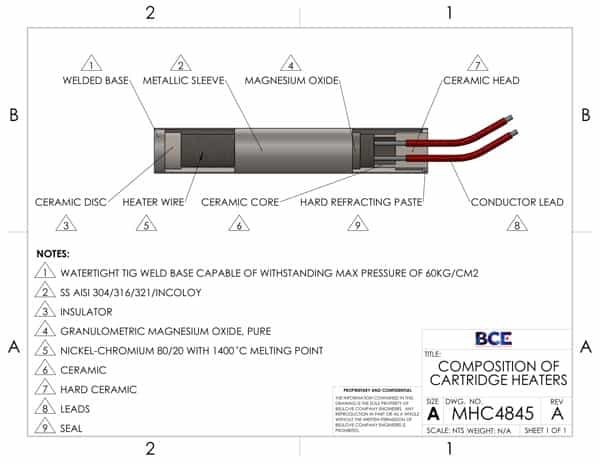 The BCE Hem Sealed Heater™ outperforms as heat flows uniformly from inside the cartridge directly to the heated bodies.